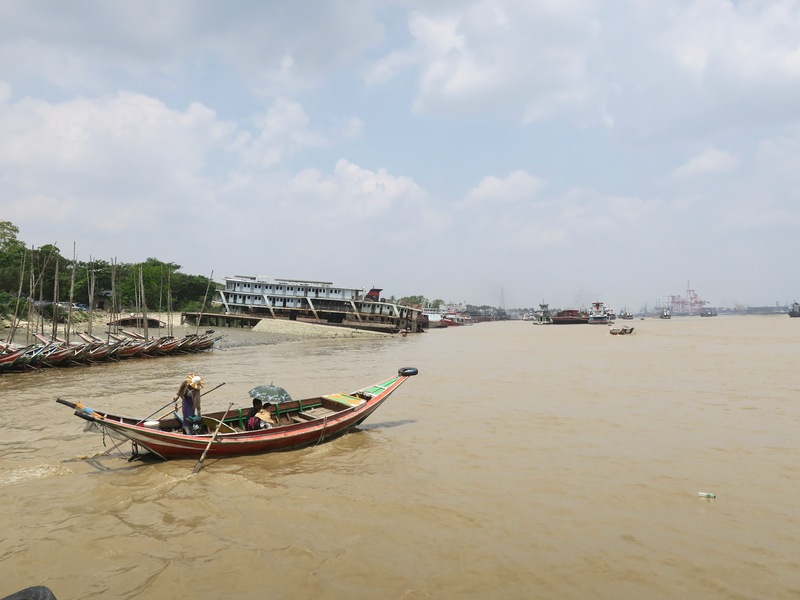 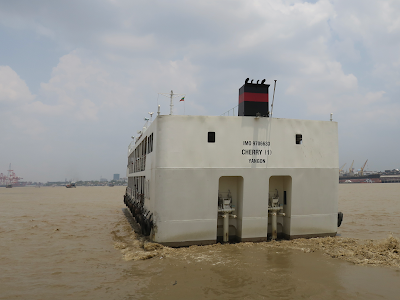 I took a short boat trip across the Yangon River. 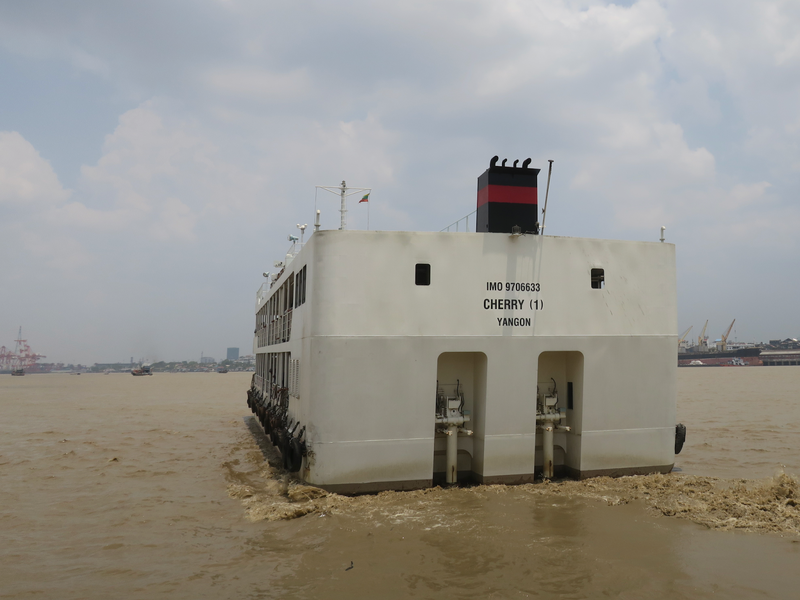 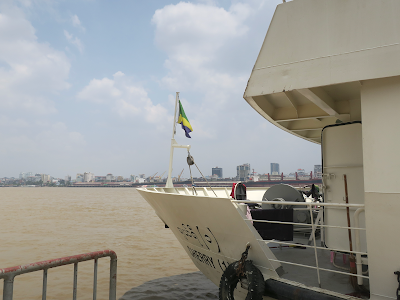 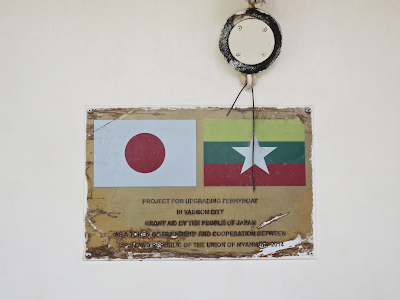 These ferry boats connecting Dala district to downtown Yangon were donated by Japan to upgrade the service, and Japan also provided financial support for the construction of new jetties. 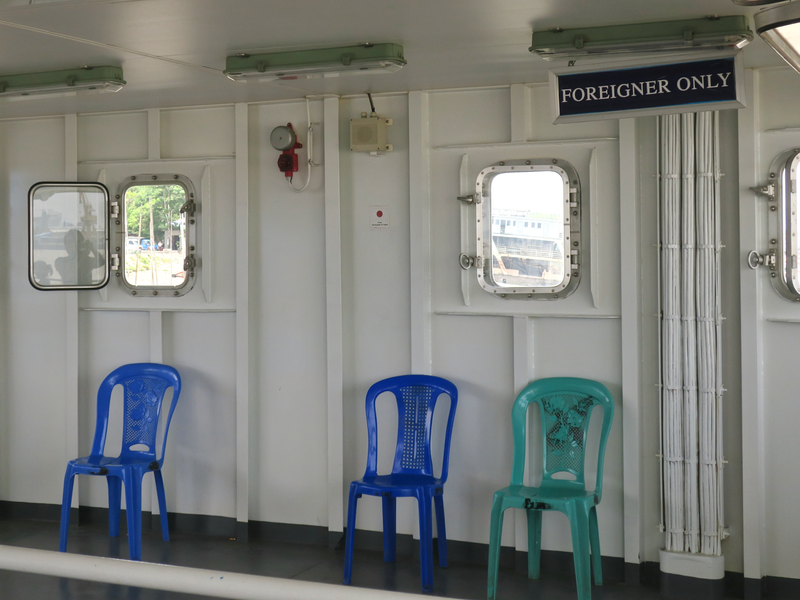 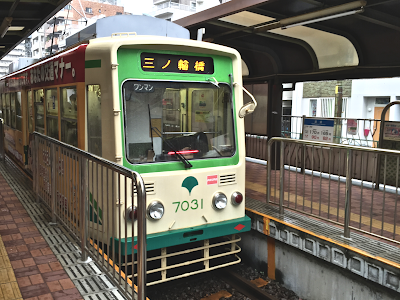 So the Japanese can ride the ferry for free.